YOU WILL GET 3 RESOURCES IN 1 BUNDLE. ♥ BONUS: Series 1 poster in black and white are included ONLY IN THIS MEGA BUNDLE! The series 1 posters are ideal for a focus wall. They are a great visual cue for your students and will draw attention to the highlighted skill or strategy. 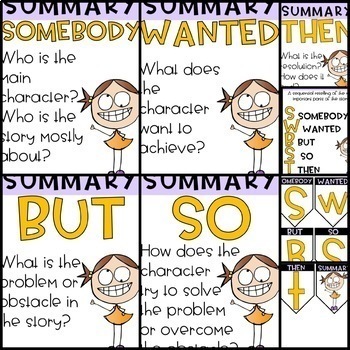 The series 2 posters expand upon the following: Story Elements, Point of View, Text Connections, Author's Purpose, and Summary (Somebody, Wanted, But, So, Then). 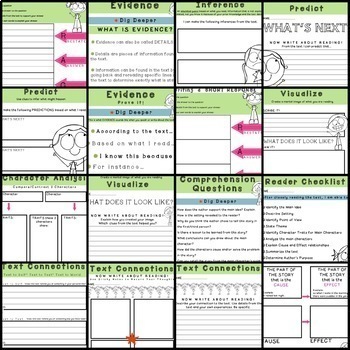 The graphic organizers coordinate with the posters and provide a framework to guide your students as they write about reading. 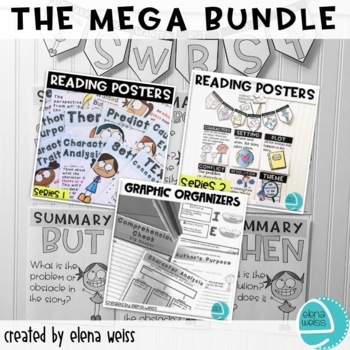 This bundle resource is an excellent enhancement to your existing reading program. 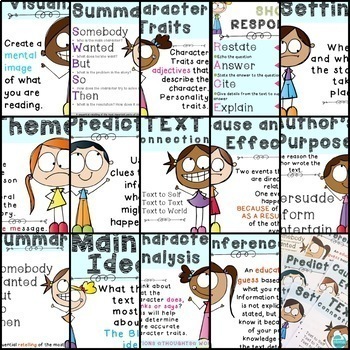 It provides consistency as you work with these skills/strategies throughout the year. My series 1 posters are displayed throughout the entire year and my students will often refer back to them as a refresher. I use the series 2 posters when I introduce the skill/strategy. See the previews for all the above products for an even better look at what you’ll get! ⇨Also includes series 1 posters in black and white. This is a bonus resource, only available with the mega bundle!